One to Ten: Squirrel's Bad Day by Carole P. Roman illustrated by Mateya Arkova is a new children's picture book that teaches young children how to cope with bad days and life's disappointments. The brightly textured watercolor art by Arkova is inviting for children of all ages. The animated characters and their friendly, and sincere personalities will draw in the young readers and they follow along. This story addresses common challenges little ones face- cancelled plans, bad weather, embarrassment, bad grades, divorced parents and the loss of a beloved pet- to name a few. Using a technique to relieve stress and to decrease anxiety, squirrel learns a new coping technique based on numbering the problem on a one to ten scale. 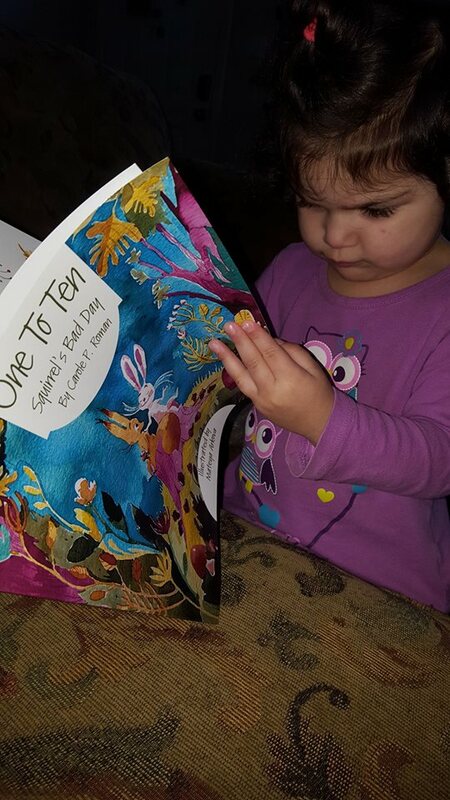 The story ends with a few wise words that will have a lasting impact on children of all ages. "In the event that something happens, and you feel your world fly apart, recall this conversation; remember the one to ten chart.... Once you give it a number... the problem doesn't feel so big, and somehow you'll know what to do." 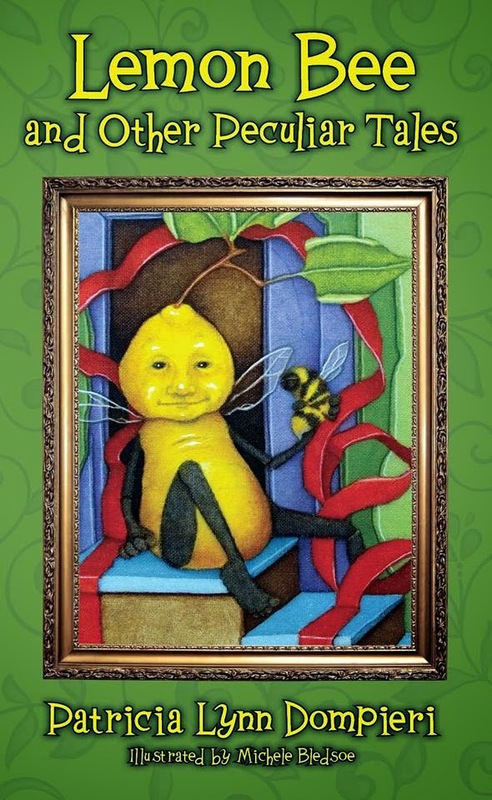 (Roman, 2016) Parents can use this story with their children as a springboard to address life problems and situations. Once again, Carole P. Roman shows her versatility as a children's writer. 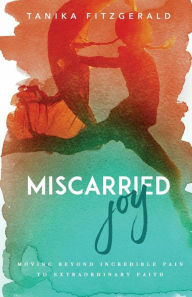 In her new book, Miscarried Joy: Moving Beyond Incredible Pain to Extraordinary Faith, Tanika Fitzgerald ministers to women experiencing the grief of pregnancy loss and stillbirth. Tanika herself experienced the grief and isolation of miscarriage in 2015. She opens her book with the candid account of her own experience of miscarriage. She reaches out to the grieved reader as a personal friend and mentor. For many women, the solace and comfort received from Tanika's book might be the only companionship during their own pregnancy loss journey. As Tanika points out, miscarriage and pregnancy loss is more common than many believe. But, because of the stigma surrounding pregnancy loss, many women must grieve alone. This book is a resource to read multiple times, and to have handy by the bedside for sleepless nights and times of grief. There are plenty of scripture verses as well as bible anecdotes that are used to help guide any grieving mother when facing the loss of her child no matter what stage in pregnancy the loss occurred. This is the perfect book for anyone experiencing pregnancy loss. And for those painful times when there are no other words of comfort- this makes a comforting resource. One of the best most poignant aspects of this book is that it is written from a point of view of incredible faith. Tanika wrote this book despite the fact that she currently does not have any living children. She writes from the point of view of patience and in a time of uncertainty which makes her words even more powerful and applicable. Not every mother has a happy ending or a baby here while on Earth. The fact that the author has written this powerful book while still patiently waiting on God -serves as a reminder that if this type of faith is possible for her, that maybe it is also possible for those who have not been able to have children either. As a blogger for Litfuse publicity, I am providing an unbiased review. Beyond Suffering Bible NLT: Where Struggles Seem Endless, God's Hope Is Infinite by Joni and Friends, Inc. 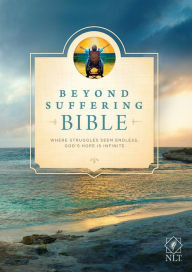 The Beyond Suffering Bible NLT: Where Struggles Seem Endless, God's Hope Is Infinite - is a new bible produced by Joni and Friends, Inc.
Joni Eareckson Tada of Joni and Friends Christian Institute on Disability, is known best by many readers, as an inspirational hero of faith who suffers from quadriplegia as a result of a diving injury suffered at the age of 17. I first learned of Jodi Eateckson Tada's story as a college student when I read her inspirational autobiography. Over the years I found myself drawn to her story and example when life became difficult with various trials. Her faith and resilience in the face of disability and tragedy is an inspiration and model for all Christians and especially for those facing tragic circumstances and disability. One may wonder where Joni finds her strength and how she maintains her strength and faith. For true inspirational devotionals, side by side with the full text of the bible- this bible resource is where to turn. Unlike many devotional bibles on the market- this bible is truly dedicated to those readers who are actively suffering. This bible provides the tools needed to empower and inspire even the most apathetic and depressed of readers. Whether you are facing the grief of loss, terminal illness, disability or even the loss of a job- this bible is certain to provide comfort- not only with the inspired words of scripture, but also with the articles and devotionals that help bring the word of God to life. The devotionals focus on scripture but also help the reader to see how God's word can be practically applied when facing a crisis, or tragedy or even a chronic illness. As a blogger I received a copy of this bible published by Tyndale for the purpose of writing this review.